The new 2019 Honda Accord boasts tons of aspects to be excited about. From its aerodynamically-inclined, sculpted exterior to the premium touches that color the inside, this stylish sedan provides much to thrill. Our full-service dealership employs teams that can support you in fully exploring this vehicle as well as any other Honda in our new car inventory. So, visit us here at Honda Auto Center of Bellevue for your test drive of the new 2019 Accord or any other vehicle that interests you! The new Accord is certainly fun to read about online, but certainly better experienced in person. So, when you’re ready to end your search for the competitively-priced sedan you’ll use to tackle various future life endeavors, schedule your test drive and head over to our new and used Honda dealership from Renton, WA! 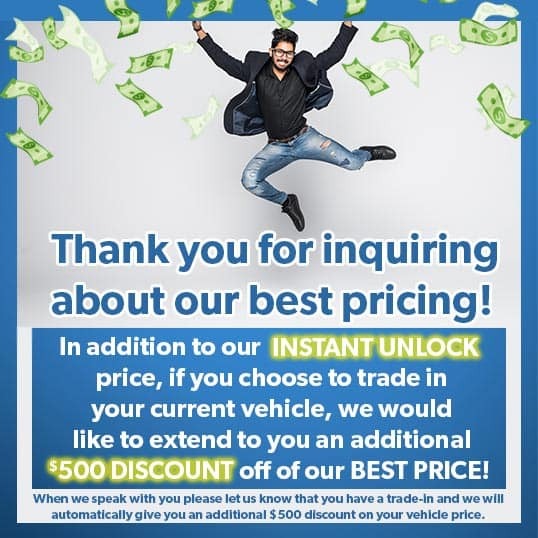 You can also use our secure website to explore your financing opportunities and even value your trade-in if you plan to upgrade. Our teams here at Honda Auto Center of Bellevue look forward to supporting you in all of your automotive needs! Interior Features: Dual-Zone Automatic Climate Control System, Power Windows with Auto-Up/Down Driver's and Front Passenger's Windows, Power Door Locks / Programmable Auto-Locking Doors, Push Button Start, Cruise Control, One-Touch Turn Indicators, Tilt and Telescopic Steering Column, Center Console with Armrest and Storage Compartment, Beverage Holders (front & rear), Driver’s and Front Passenger’s Illuminated Vanity Mirrors, Capless Fuel Filler, Map Lights, Sunglasses Holder, 12-Volt Power Outlets (front & center console), Rear-Window Defroster, Cargo Area Light, Floor Mats, Side Door Pockets, Illuminated Steering Wheel-Mounted Controls, Illuminated Power Window Switches. Exterior Features: Body-Colored Power Side Mirrors, Aluminum Hood, Fin-Type Roof-Mounted Antenna, Security System with Remote Entry and Trunk Release, Taillights with LED Brakelights and Integrated LED Light Bars, Body-Colored Door Handles, Variable Intermittent Windshield Wipers, LED Low-Beam Headlights with Auto-On/Off. Interior Features: Dual-Zone Automatic Climate Control System, Power Windows with Auto-Up/Down Driver's and Front Passenger's Windows, Power Door Locks / Programmable Auto-Locking Doors, Push Button Start, Cruise Control, One-Touch Turn Indicators, Tilt and Telescopic Steering Column, Center Console with Armrest and Storage Compartment, Beverage Holders (front & rear), Driver’s and Front Passenger’s Illuminated Vanity Mirrors, Capless Fuel Filler, Map Lights, Sunglasses Holder, 12-Volt Power Outlets (front & center console), Rear-Window Defroster, Cargo Area Light, Floor Mats, Side Door Pockets, Illuminated Steering Wheel-Mounted Controls, Illuminated Power Window Switches, Trunk Main Switch, Lockable Glove Compartment. Exterior Features: Body-Colored Power Side Mirrors, Aluminum Hood, Fin-Type Roof-Mounted Antenna, Security System with Remote Entry and Trunk Release, Taillights with LED Brakelights and Integrated LED Light Bars, Body-Colored Door Handles, Variable Intermittent Windshield Wipers, LED Low-Beam Headlights with Auto-On/Off, Smart Entry with Walk Away Auto Lock®, Active Shutter Grille. Interior Features: Dual-Zone Automatic Climate Control System, Power Windows with Auto-Up/Down Driver's and Front Passenger's Windows, Power Door Locks / Programmable Auto-Locking Doors, Push Button Start, Cruise Control, One-Touch Turn Indicators, Tilt and Telescopic Steering Column, Center Console with Armrest and Storage Compartment, Beverage Holders (front & rear), Driver’s and Front Passenger’s Illuminated Vanity Mirrors, Capless Fuel Filler, Map Lights, Sunglasses Holder, 12-Volt Power Outlets (front & center console), Rear-Window Defroster, Cargo Area Light, Floor Mats, Side Door Pockets, Illuminated Steering Wheel-Mounted Controls, Illuminated Power Window Switches, Trunk Main Switch, Lockable Glove Compartment, Leather-Wrapped Steering Wheel and Shift Knob, Sport Pedals. Exterior Features: Body-Colored Power Side Mirrors, Aluminum Hood, Fin-Type Roof-Mounted Antenna, Security System with Remote Entry and Trunk Release, Taillights with LED Brakelights and Integrated LED Light Bars, Body-Colored Door Handles, Variable Intermittent Windshield Wipers, LED Low-Beam Headlights with Auto-On/Off, Chrome Exhaust Finishers, LED Fog Lights, Body-Colored Decklid Spoiler. Interior Features: Dual-Zone Automatic Climate Control System, Power Windows with Auto-Up/Down Driver's and Front Passenger's Windows, Power Door Locks / Programmable Auto-Locking Doors, Push Button Start, Cruise Control, One-Touch Turn Indicators, Tilt and Telescopic Steering Column, Center Console with Armrest and Storage Compartment, Beverage Holders (front & rear), Driver’s and Front Passenger’s Illuminated Vanity Mirrors, Capless Fuel Filler, Map Lights, Sunglasses Holder, 12-Volt Power Outlets (front & center console), Rear-Window Defroster, Cargo Area Light, Floor Mats, Side Door Pockets, Illuminated Steering Wheel-Mounted Controls, Illuminated Power Window Switches, Trunk Main Switch, Lockable Glove Compartment, Driver-Side Seatback Pocket. Exterior Features: Aluminum Hood, Fin-Type Roof-Mounted Antenna, Security System with Remote Entry and Trunk Release, Taillights with LED Brakelights and Integrated LED Light Bars, Body-Colored Door Handles, Variable Intermittent Windshield Wipers, LED Low-Beam Headlights with Auto-On/Off, LED Fog Lights, Smart Entry with Walk Away Auto Lock®, Heated, Body-Colored Power Side Mirrors, One-Touch Power Moonroof with Tilt Feature, Active Shutter Grille. Interior Features: Dual-Zone Automatic Climate Control System, Power Windows with Auto-Up/Down Driver's and Front Passenger's Windows, Power Door Locks / Programmable Auto-Locking Doors, Push Button Start, Cruise Control, One-Touch Turn Indicators, Tilt and Telescopic Steering Column, Center Console with Armrest and Storage Compartment, Beverage Holders (front & rear), Driver’s and Front Passenger’s Illuminated Vanity Mirrors, Capless Fuel Filler, Map Lights, Sunglasses Holder, 12-Volt Power Outlets (front & center console), Rear-Window Defroster, Cargo Area Light, Floor Mats, Side Door Pockets, Illuminated Steering Wheel-Mounted Controls, Illuminated Power Window Switches, Trunk Main Switch, Lockable Glove Compartment, Leather-Wrapped Steering Wheel and Shift Knob, Driver-Side Seatback Pocket, HomeLink® Remote System, Automatic-Dimming Rearview Mirror. Exterior Features: Aluminum Hood, Fin-Type Roof-Mounted Antenna, Security System with Remote Entry and Trunk Release, Taillights with LED Brakelights and Integrated LED Light Bars, Body-Colored Door Handles, Variable Intermittent Windshield Wipers, LED Low-Beam Headlights with Auto-On/Off, LED Fog Lights, Smart Entry with Walk Away Auto Lock®, Heated, Body-Colored Power Side Mirrors with Integrated LED Turn Indicators, One-Touch Power Moonroof with Tilt Feature, Active Shutter Grille. Interior Features: Dual-Zone Automatic Climate Control System, Power Windows with Auto-Up/Down Driver's and Front Passenger's Windows, Power Door Locks / Programmable Auto-Locking Doors, Push Button Start, Cruise Control, One-Touch Turn Indicators, Tilt and Telescopic Steering Column, Center Console with Armrest and Storage Compartment, Beverage Holders (front & rear), Driver’s and Front Passenger’s Illuminated Vanity Mirrors, Capless Fuel Filler, Map Lights, Sunglasses Holder, 12-Volt Power Outlets (front & center console), Rear-Window Defroster, Cargo Area Light, Floor Mats, Side Door Pockets, Illuminated Steering Wheel-Mounted Controls, Illuminated Power Window Switches, Trunk Main Switch, Lockable Glove Compartment, Leather-Wrapped Steering Wheel and Shift Knob, Driver-Side Seatback Pocket. Exterior Features: Aluminum Hood, Fin-Type Roof-Mounted Antenna, Security System with Remote Entry and Trunk Release, Taillights with LED Brakelights and Integrated LED Light Bars, LED Fog Lights, Smart Entry with Walk Away Auto Lock®, One-Touch Power Moonroof with Tilt Feature.